We knew Johnny Depp won't be coming out as a pirate anymore so it is a welcome news that he is the face of a new franchise. The Fantastic Beasts franchise by JK Rowling of the Harry Potter writer fame. In the first installment, the Fantastic Beasts and Where to Find Them, we got a glimpse of Johnny Depp as the enigmatic and charismatic outlaw Grindelwald. His character here is so different from the pirate series that it took us a moment to finally identify him. Nevertheless his selection as the Grindelwald is a great one. 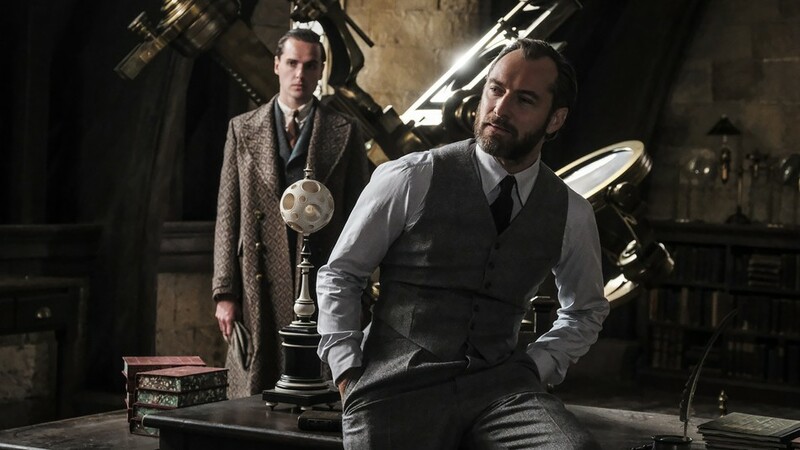 Another great actor in the film is Jude Law playing the young Albus Dumbledore. His acting here was impeccable and very credible as the soon to be head of Hogwarts. It's been a while since I've watched him in a film and it was nice to see him back in action. These two were a great addition to the casts from the previous film. We see again Newt, Tina, Jacob and Queenie. And Credence is alive and well in the film. 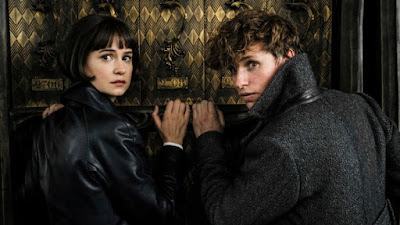 There were other characters added to the mix most notably, Nagini and Leta Lestrange, as they were prominently given screen time in the film. Casting were great however here lies the rub. Too many actors went in the movie that not enough material or screen time was given to establish their characters. The only character that was solid was of Dumbledore. His screen presence was spot on and he did his part very well in the film. If it wasn't for him, I would totally not recommend the movie. Opening scene of Grindelwald escaping was a great one. Full of action, twists and it showed how intelligent and crafty Grindelwald was. Sadly, even with the acting of Johnny Depp, he could not expound further the character was we feel there wasn't much material. The title Crimes of Grindelwald, what crimes are we talking about here? I might have slept in some part of the movie that I missed them altogether. 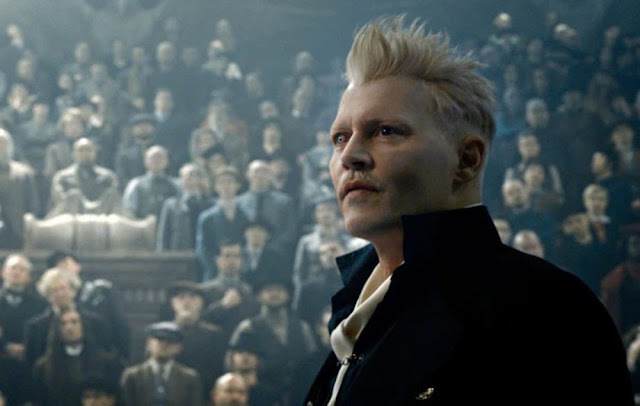 Even with his crimes (which I didn't know), why were there many followers of the great Grindelwald? Where did they go when they finished their meeting? Will the Ministry go after the followers as the former was there as well. I do wish they expound more of Grindelwald as I couldn't establish the character yet in this second installment of the Fantastic Beasts franchise. (We have a feeling it won't be expounded as Credence will be the main character in the next installment). In addition, the title is confusing for me. The first movie was Fantastic Beasts and Where to Find them, was clear. There were beasts and it showed where and how to find them and take good care of them. This one, Fantastic Beast: Crimes of Grindelwald. I was waiting for the beasts again and I think it showed 2 beasts from the first film, and maybe 2 or 3 new ones that was simply placed in the movie with no meaning at all. Maybe to show the beasts again which we felt was not part in the story at all. With the heavy emphasis on Credence, it should have been titled, Fantastic Beasts: Who is Credence? Now we mentioned the disappointment of Grindelwald, now we go to Albus Dumbledore. His character was nicely established here. The only eye opener for us was his blood compact with Grindelwald. Why did he do it? Not established in this film. With all the situations mentioned about this agreement between the two, does it insinuate that they were romantically involved? A bromance or something much deeper? Please guys tell me, the suspense is killing me. Maybe this one of their cliffhanger notes to be explained in the next movie. Newt was and is still Newt. He loves his beasts and would love not to take sides. His acting here was a continuation from the first movie and it is a welcome treat. Tina was more confident in this film, so much so that his love (?) for Newt has waned (?) or she kept it hidden so much that we think she lost that love or infatuation she had with Newt in the first film. Then came Lestrange, she showed some jealousy in the film but we couldn't connect with her emotions. Her acting maybe, or there were not much of the material to go with? The magic between the two simply got lost somehow and we were disappointed with this notion. Jacob who we thought his memories were erased, were NOT!!!! What the eff..... But his love for Queenie stood out in the film. His portrayal of a muggle or nomage falling in love with her was very should we say, true to form. Queenie however whom we thought had true love for Jacob, wanted to go bad so he could with Jacob. What the eff???? What a twist of fate here for poor Jacob. Let's see how they will spin the story between these two lovebirds in the next installment. Credence is alive??? Why??? How??? To continue, there were a lot of characters here that overall, the story got mixed up in the process. There was no focus, no direction. Among all the Harry Potter movies, this is the most lame and boring of them all. With all the hype prior to the opening, we expected a lot from the movie. And we were not pleased when we watched it. We can summarize what we liked. 1) opening scene 2) easter eggs 3) scenes with Jude Law 4) scenes with Newt and 3) the last scene with Credence (we won't divulge what but surely its a game changer). If you are not a Harry Potter fan, not watched the first film, then spending Php300 for this will maybe be okay with you. 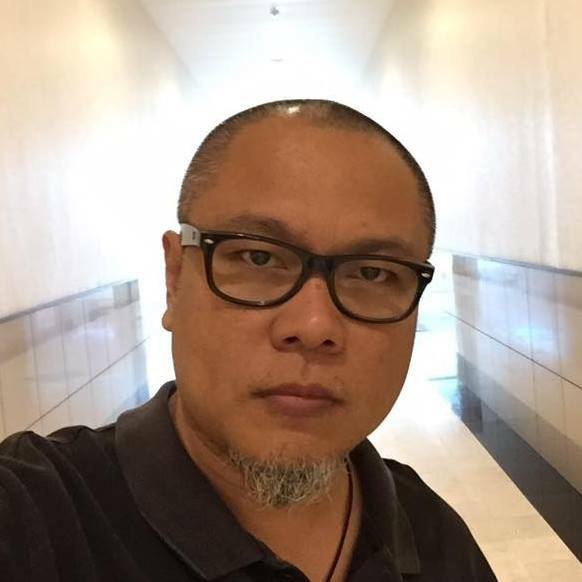 It's a good stand alone film worthy of spending 2 hours and 20 minutes of your time doing nothing but sit back and enjoy the aircon in the theatre. But if you are a die hard fan, then have lots of patience if you are to watch this one. This is not for you. This is just something to fill in the pockets of JK Rowling and the movie outfit. In a perfect world, this film would have been 3 movies already. With all the plot twists and a huge cast of characters, this movie is like 3 movies squashed into one so as they can have a trilogy. Why don't they follow what the Fast and the Furious franchise did? As our last note, we could have went on and on with what we didn't like about but we would stop with the above. We don't know what JK Rowling had in mind when she did this, but I do hope they find a solution fast or else a lot of fans will shy away from this franchise.